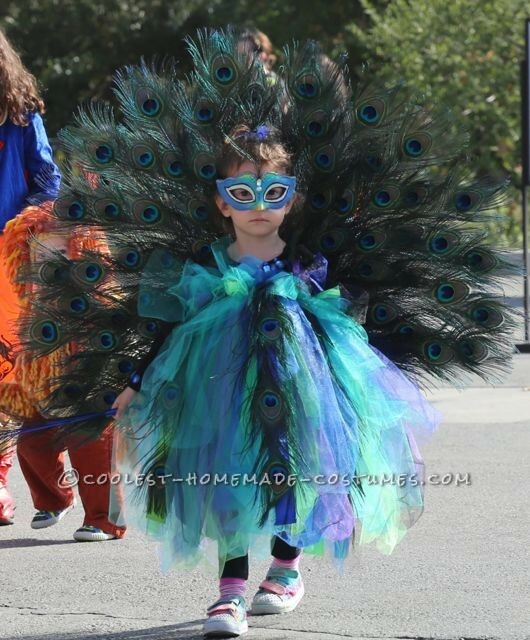 Channel the proud and striking peacock for a show-stopping costume this Halloween. Strut your stuff in these uniquely homemade costume designs. 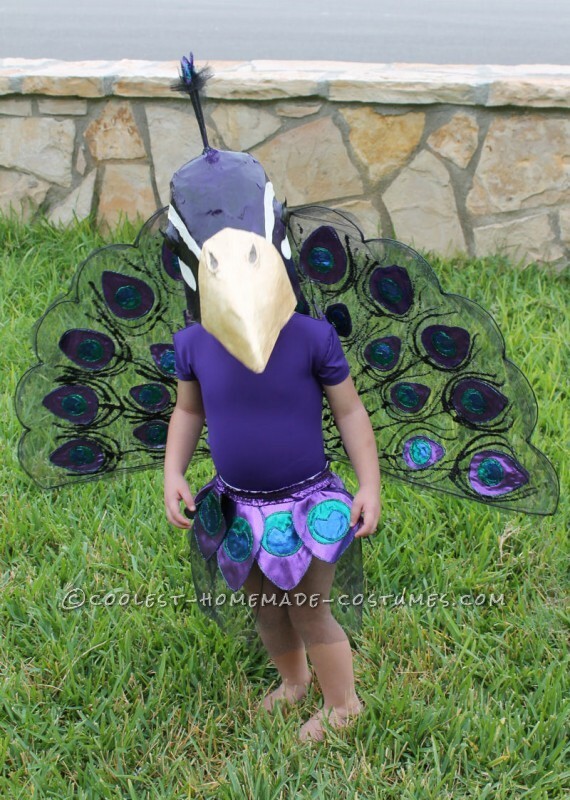 In addition, if you’re looking to steer away from princess costumes, these regal peacock costumes make a sparkly and fun alternative. 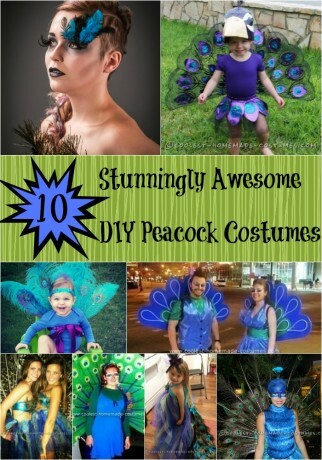 So, fluff up your feathers and check out the most awesomely beautiful peacock costumes below. 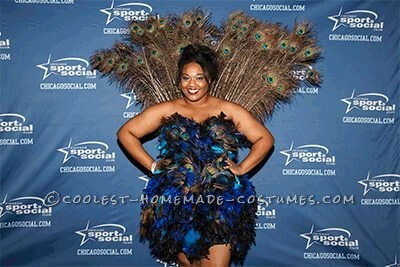 Turn heads in Amanda’s darkly stunning peacock costume. 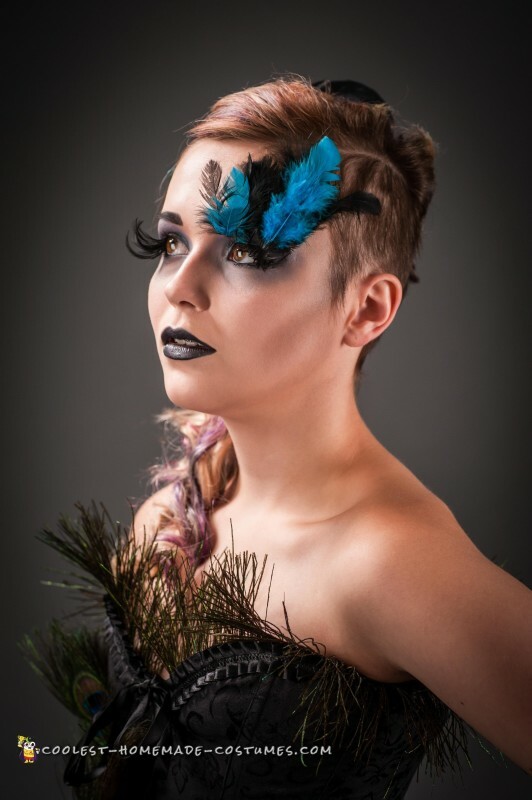 Learn how she constructed this gorgeousness here. Feel like a royalty in this fantastic getup. Check out all the elements that went into making this beautiful peacock costume. Read all the step-by-step instructions here in order to try it yourself. Bonus: you don’t need to sew this DIY costume! 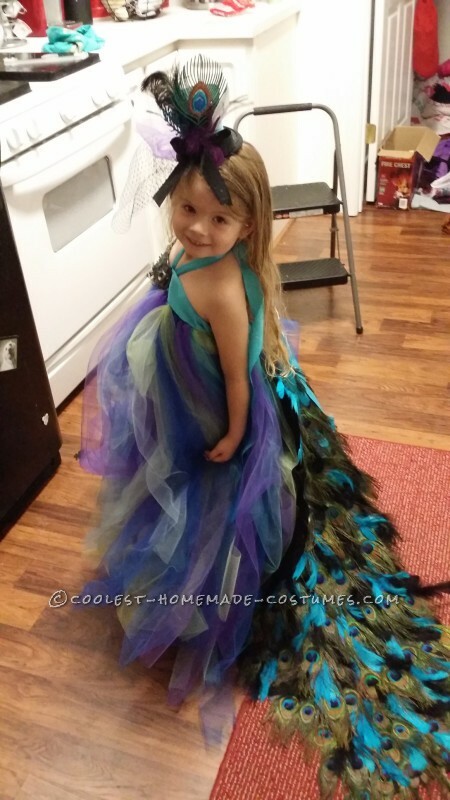 Spread your feathers like in this magnificent costume Diana made for her daughter. 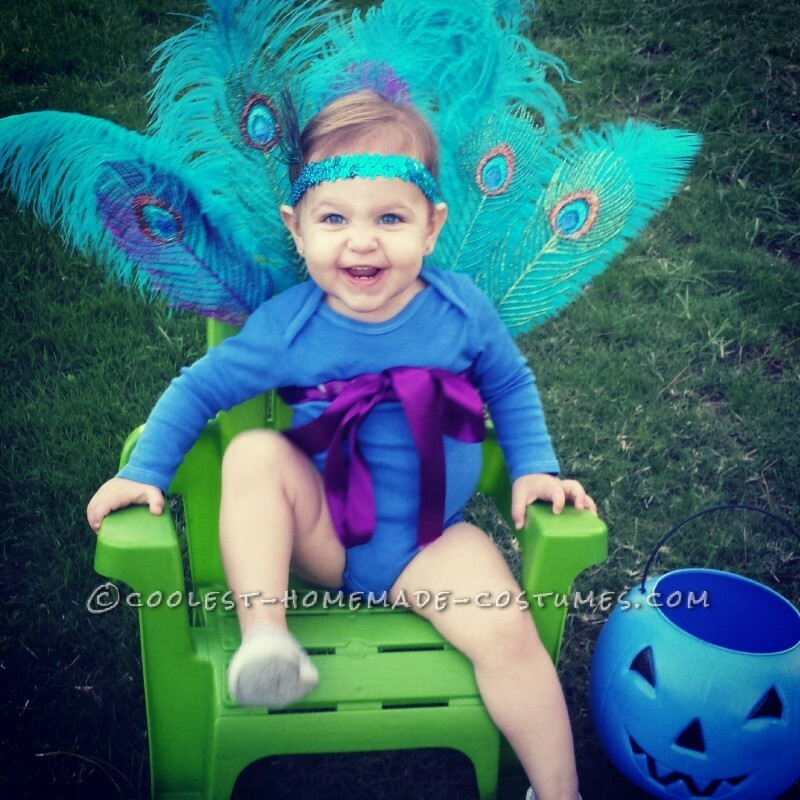 Make a glamorous peacock tail for a little girl’s costume, like the one here. Take a look at this super easy-to-make costume. You so don’t need a lot of details to become the prettiest peacock at the party. An incredibly original headpiece pulls this shimmery costume together. This DIY costume was not cheap, but it was totally worth it. Read how Deveon made it here. Love this husband and wife team! 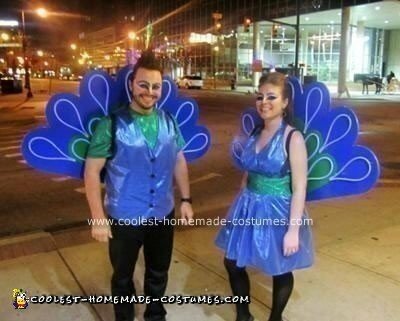 See how they made their non-traditional, glow in the dark wings, here. Don’t want to use real feathers? This women made her homemade costume vegan-friendly from cardboard, duct tape and bamboo. This adorable baby costume is so sparkly and comfortable. You can see how much she loves wearing it! 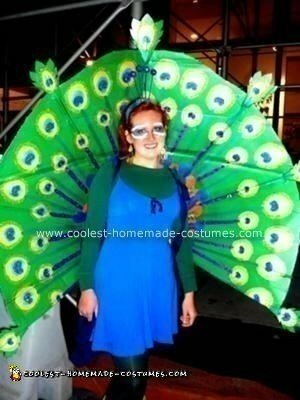 For even more original peacock costume ideas take a look at the entire collection here.